46 years after the release of the film that captivated the world; 52 years after the Broadway musical that first told the story in song; and 73 years after the courageous von Trapp family left their beloved homeland rather than serve under a Nazi regime, THE SOUND OF MUSIC was finally presented on stage in Salzburg, Austria. Sunday night October 23 marked the premiere of the first production of THE SOUND OF MUSIC ever given in the city where the true story began, and where the iconic movie was filmed. It was a profound event on several levels, and I was so thrilled (and lucky!) to be there, representing the SOUND OF MUSIC authors and rights holders. Adding to the significance of the moment, I was joined on this particular visit by members of the real von Trapp family, from Stowe, Vermont. It was an amazing experience. The story of opening night in Salzburg actually goes back a few years. THE SOUND OF MUSIC was filmed on location in that breathtakingly beautiful Baroque city in the spring and summer of 1964; the movie was released the following spring, and almost immediately thereafter, tourists from around the world came to the "City of Music," asking to visit locations made famous in THE SOUND OF MUSIC. Overnight, a tourist industry was born. 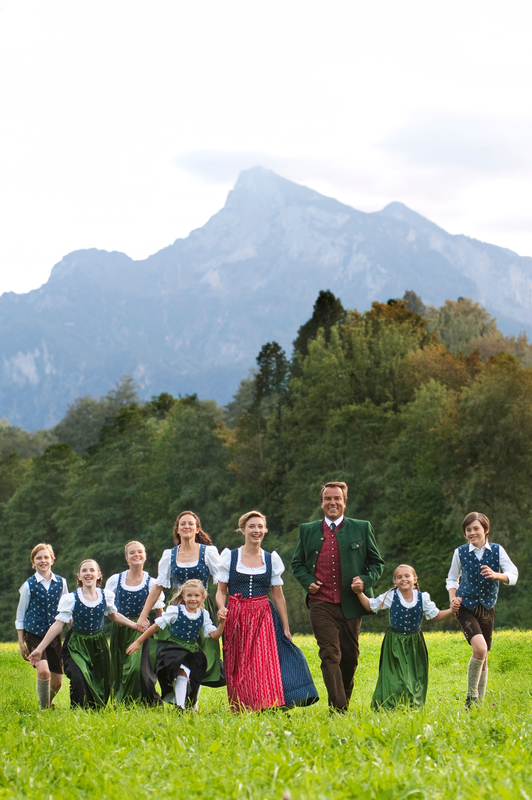 Today, Salzburg is the ultimate destination for SOUND OF MUSIC pilgrims from all over the world; in a city of 150,000, more than 400,000 visitors come every year to walk where Julie Andrews walked, to climb ev'ry mountain that she climbed. Yet, even while visitors supported up to four competing bus tours (beginning with the original, and most famous: Panorama Tours), and flocked to snap photos and re-enact the Most Famous Twirl in cinematic history, THE SOUND OF MUSIC was very much a tourist-only attraction. Most Salzburgers disdained it as "Hollywood kitsch," or simply did not know it. There are various explanations for this curious turn of events. Some Salzburgers felt that this was an American appropriation of a local story and family; still others were plainly irritated by the constant attention given to this film by tourists, sometimes at the expense of local culture (including the works of a rather talented hometown fellow named Wolfgang Amadeus Mozart). Most significantly, many in Austria avoided THE SOUND OF MUSIC since it confronts that country's history in World War II. And so, as recently as a decade ago, THE SOUND OF MUSIC still held a “split profile” in Salzburg: looming larger and larger for the tourists every year, while remaining nearly invisible to locals. This year, all of that changed. The transformation was gradual. In 2005, the Vienna Volksoper staged the first full production of THE SOUND OF MUSIC ever given in Austria; performed entirely in German, and marketed to an Austrian audience, it became a surprise hit, and has emerged as the most popular American musical in the Volksoper's repertory, where it remains in repertory to this day. (Its next return to the Volksoper repertory is April 2012). In 2007, the beloved and enchanting Salzburg Marionette Troup -- which inspires, though does not appear in, the film's "Lonely Goatherd" sequence -- introduced their all-puppet version of the musical. Following an acclaimed US tour, which culminated in four sold-out performances at the Metropolitan Museum of Art, the Marionette version now tours the globe when it is not presented at the Marionettes' home theatre in Salzburg. And finally, last year it was announced that the revered Landestheater ("State Theater") of Salzburg would present a (fully-human!) 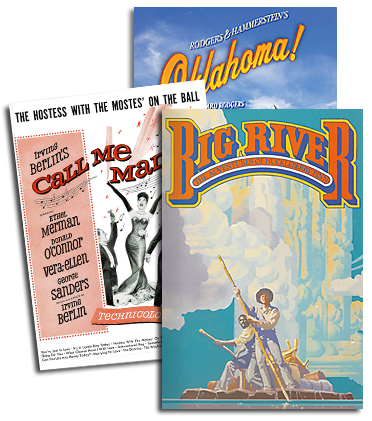 production of the musical, starting in October 2011. The talented German co-directing team of Andreas Gergen and Christian Struppeck took on the monumental, and sensitive, task of introducing the musical to Salzburg; American choreographer Kim Duddy, and American set/costume designer Court Watson, joined the stellar team, which also created a new Austrian/German translation especially for this version. The Landestheater's visionary Intendant, Dr. Carl Philip von Maldeghem, has a huge hit on his hands and justifiably so. The October 23 premiere was thrilling on several levels. To hear the Rodgers & Hammerstein score played by musicians trained in Mozart and Strauss was incredible; to see the potently political scenes by Lindsay & Crouse presented in a city that is still coming to terms with its complicated role in WWII, and to have it presented in an auditorium that once hosted Hitler, was also profound. The cast was extraordinary, lead by German stage star Uwe Kroeger as the Captain, and the rapturous Dutch musical performer Wietske van Tongeren as Maria. In the City of Music, the voices were incomparable, accompanied by 40 musicians of the world-renowned Mozarteum Academy. Court Watson's scenic design captured the unique nature of this production; it is safe to say that his assignment was more difficult than that faced by any other designer of this musical, for he had to create a visual world on stage based on a reality his audience knew better than any other audience ever would. For instance, Watson’s depiction of the interior of the von Trapp villa recreated the actual staircase down to the exact type of spinets in the railing; when the real von Trapp family saw the set for the first time, a few of them gasped at how well it replicated reality. Having the von Trapps in attendance added to the evening's impact. Johannes von Trapp, the youngest of the original children of Georg and Maria von Trapp, lead a delegation from the Trapp Family Lodge in Stowe, Vermont, that also included his son Sam, Sam's wife Elisa, Sam's sister Kristina, and her husband Walt. At the curtain call, the von Trapps were asked onto the stage; the warm response from the Salzburgers brought many of us to tears. This was a homecoming, a deserved salute to a heroic family, and a generous embrace of fact and fiction all rolled into one emotional ovation. Johannes von Trapp was heard later to say that this production of THE SOUND OF MUSIC was "the best" he had ever seen. The Austrian press and public clearly agreed with him: a wave of rave reviews in local and national newspapers praised the quality of the production, the sound of the music, the skill of the performances, but also urged Austrians to become familiar with the family and with the story that the rest of the world already knows.